Your smartphone might do a lot of things. 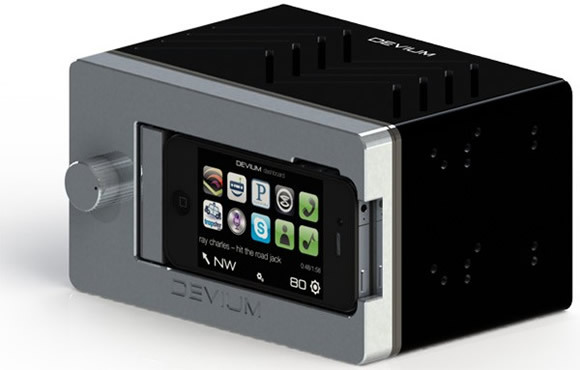 It might double up as a camera, a game pad, even a PC but how about replacing your car stereo with it? Stereo love, truly. Lockheed Martin, a company known for giving life to innovative ideas has come up with dash, an alternative car stereo. Bu should you ask how is it different from car systems supporting your iPod and other stuff, here’s the thing. The Dash’s body docks in your iPhone instead of just connecting it with an audio jack. The company is even coming up with different versions for different smartphones. The best part with the Dash is that all the controls rest on your smartphone rather than the radio and your phone gets charged, while you are using it to listen music. Besides, you got everything you need – music, navigation or calls, its right there. It is better than holding a phone to your ear and driving. Just put your call on speakerphone while you can still look on the road. Much safer. And the kids wouldn’t be able to mess up your audio settings since your phone can be locked. Priced at $300 (Rs. 15,000), the Dash in our opinion seems a great tool if you happen to be an audiophile and love your car.